Canberra has a rich history of the performing arts dating back to the 1920s. 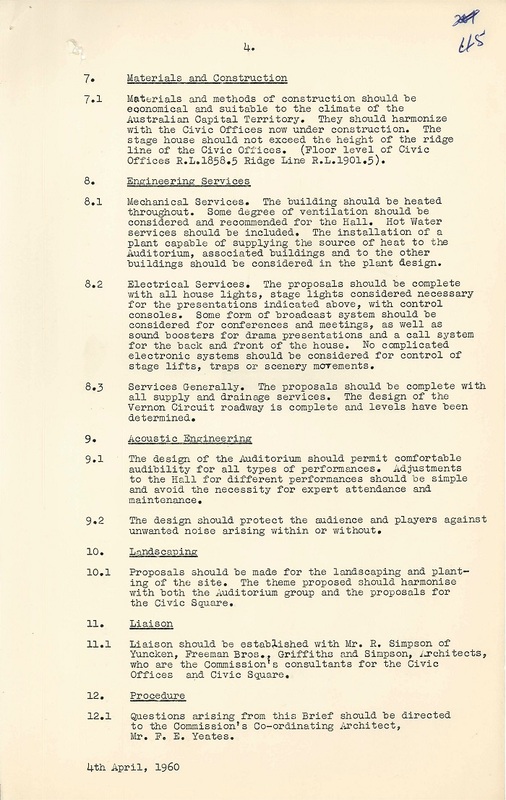 By 1960 Canberra’s population had outgrown the Albert Hall creating the need for a new home for the performing arts, so an auditorium on the newly planned Civic Square was proposed. The Canberra Theatre Centre opened on 24 June 1965 with a ‘gala’ performance by the Australian Ballet. Opening night saw a performance of Act 2 from Swan Lake, Robert Helpman’s first work choreographed for the Company The Display, and Melbourne Cup, the first work commissioned by the Australian Ballet. It was a near thing. The Centre wasn’t complete on opening night, and the Canberra Times reported that the Australian Ballet Company had been unable to properly rehearse. 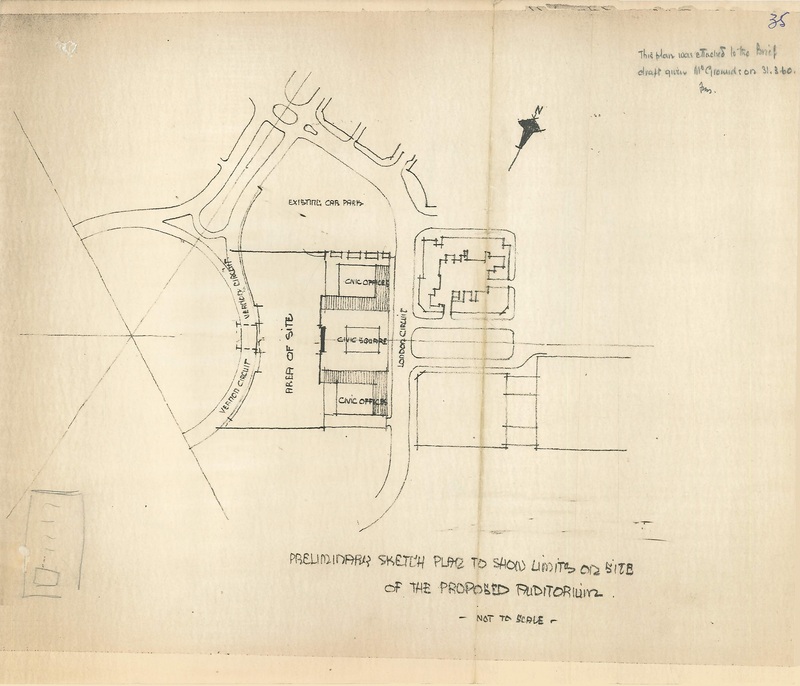 The initial grand plans for the facility are not quite reflected in the building that has, nevertheless, served Canberra so well since the 1960s. 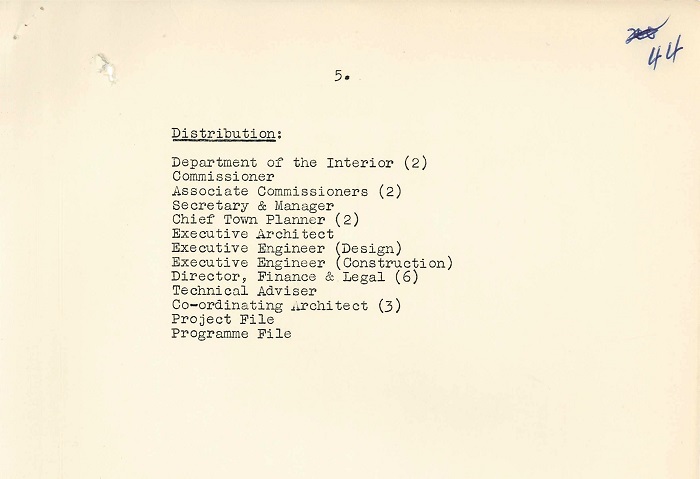 The National Capital Development Commission’s 15-part file “60/400 - Canberra Theatre Centre – Design and Construction” details its evolution, and is ArchivesACT’s Find of the Month. 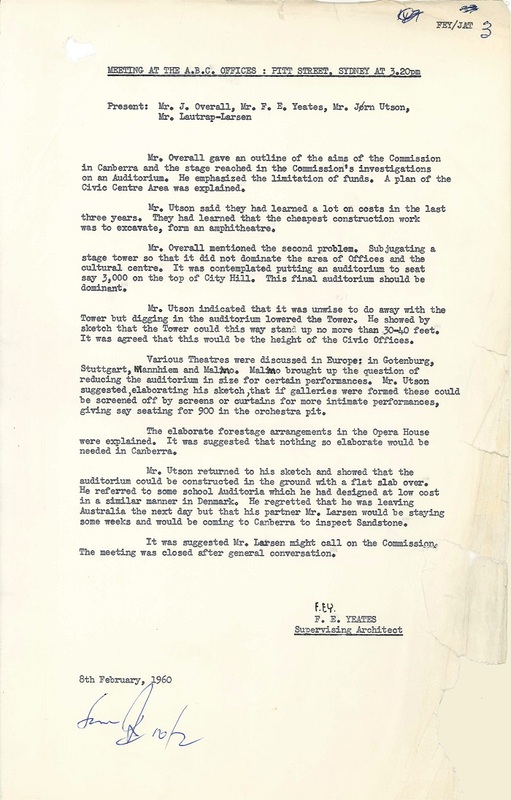 The work was important enough that head of the NCDC John Overall was personally involved in the project, and travelled to Sydney with supervising architect Frank Yeates to seek the advice of none other than Jorn Utzon. 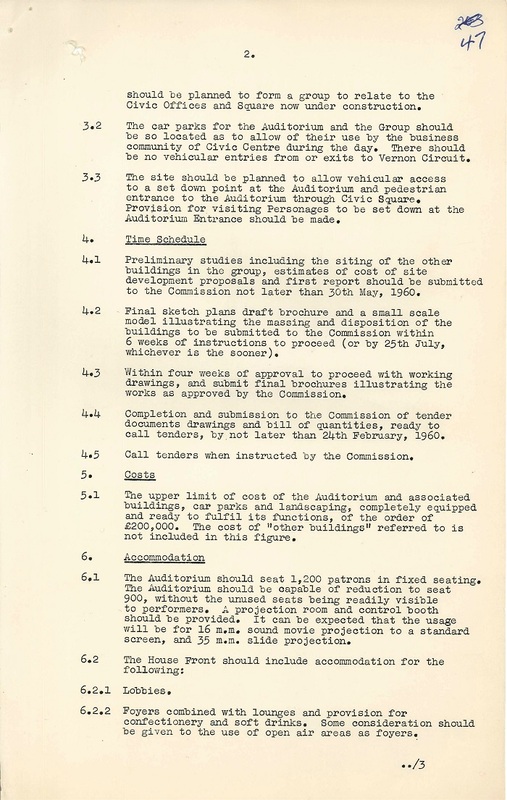 The following minutes from the 8th of February 1960 show that initial proposals were for a 3000 seat theatre on top of City Hill. 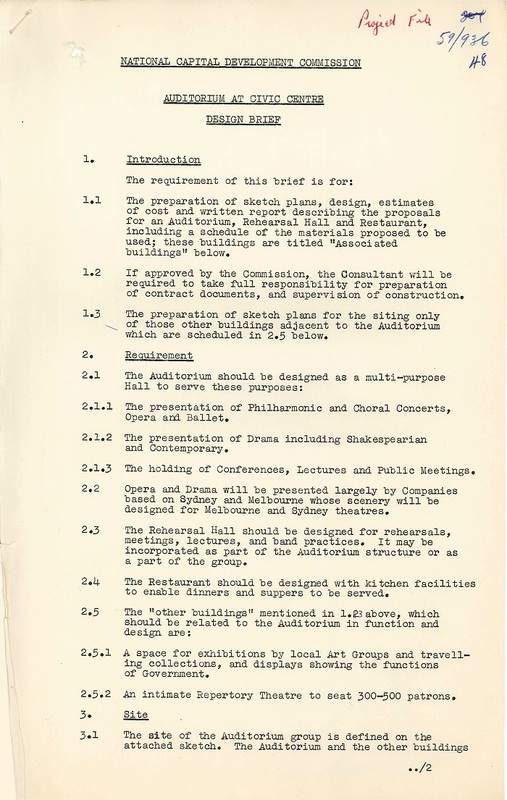 Despite seeking advice from the designer of the Sydney Opera House , only a few months later, the design brief was for a substantially reduced scope of building. 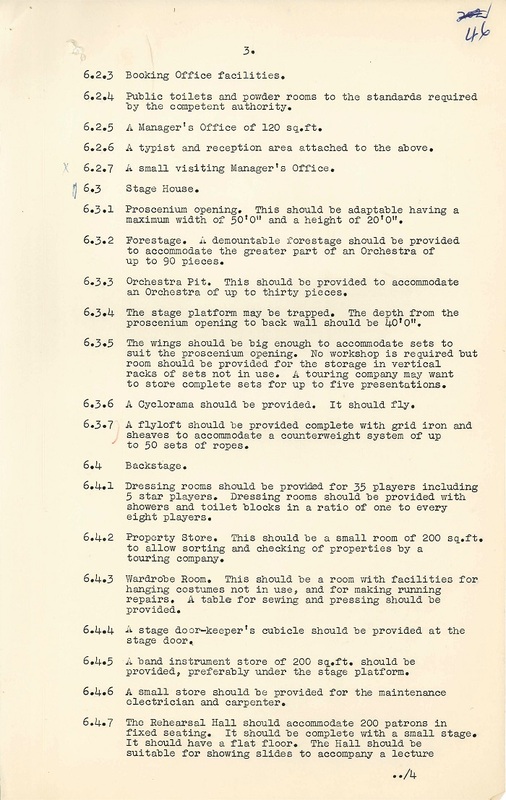 As had been noted in the meeting with Utzon, “nothing so elaborate [as the staging arrangements at the Opera House] would be needed in Canberra. The 3000 seat theatre had made way for a more modest 1200 seat auditorium with an additional 300 to 500 seat repertory theatre. 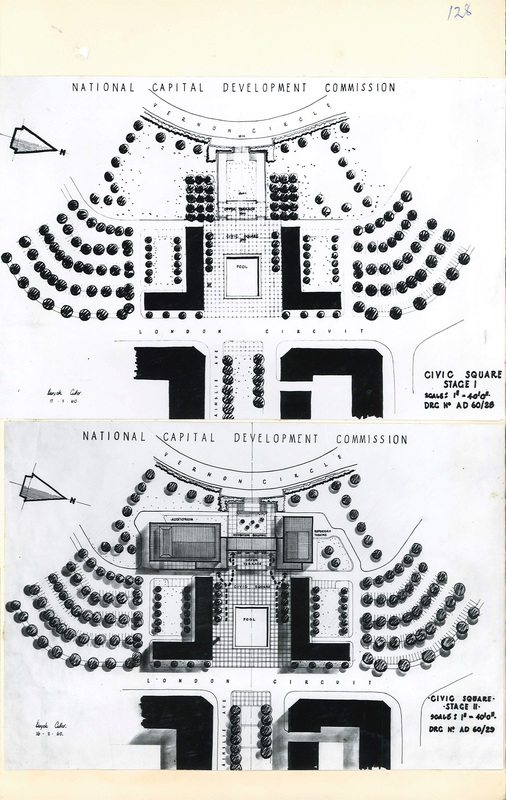 Rather than sitting at the top of Capital Hill with a ‘dominant’ auditorium, the design was to relate more closely to the Civic Offices (the North and South buildings),then under construction. It should be no taller than the other Civic Square buildings, and require no vehicle access to Vernon Circle. 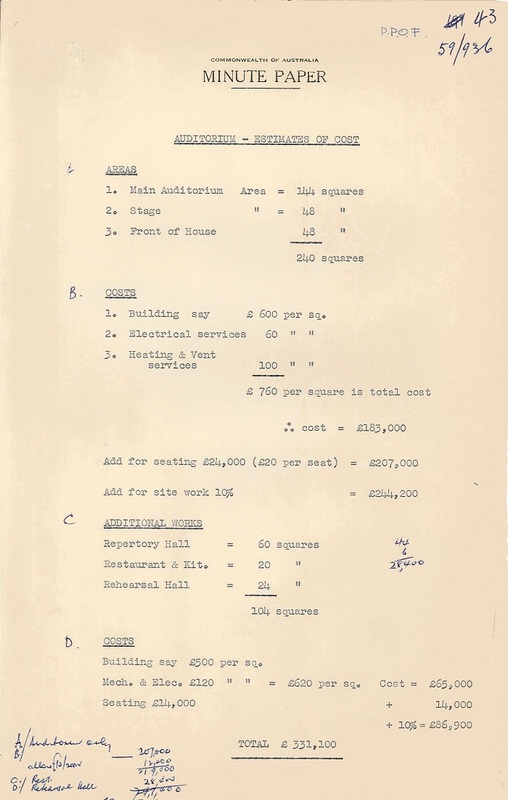 Despite making their own calculations of a cost of more than £300 000, the NCDC set an upper limit of costs at £200 000. 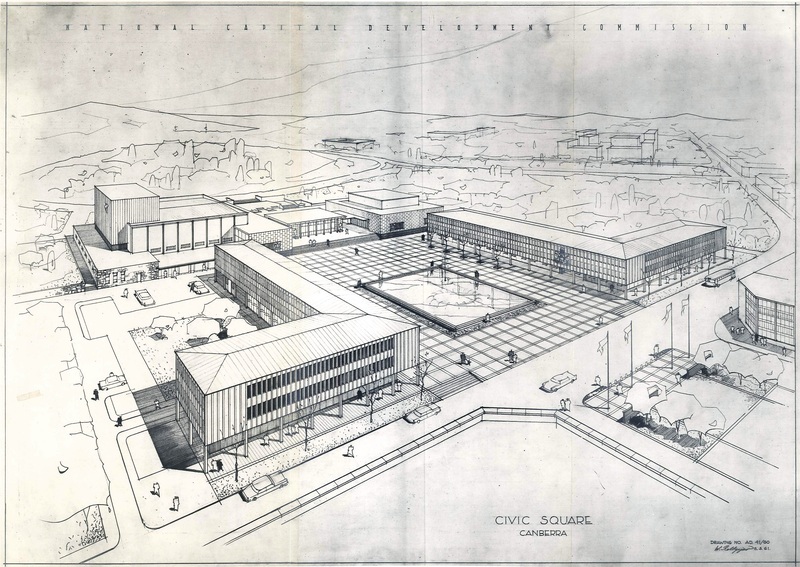 By this time the theatre complex had become integral to the vision for Civic Square. 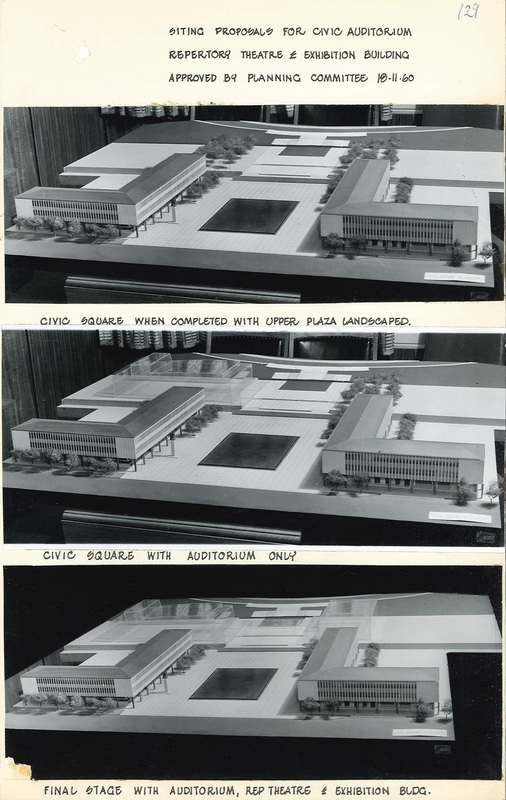 The following photos show a model of the proposed theatre’s siting, approved by the planning committee on the 18th November 1960. The contract was won by Yuncken Freeman Architects of Melbourne, who were also responsible for the Civic Square development and the law courts building. 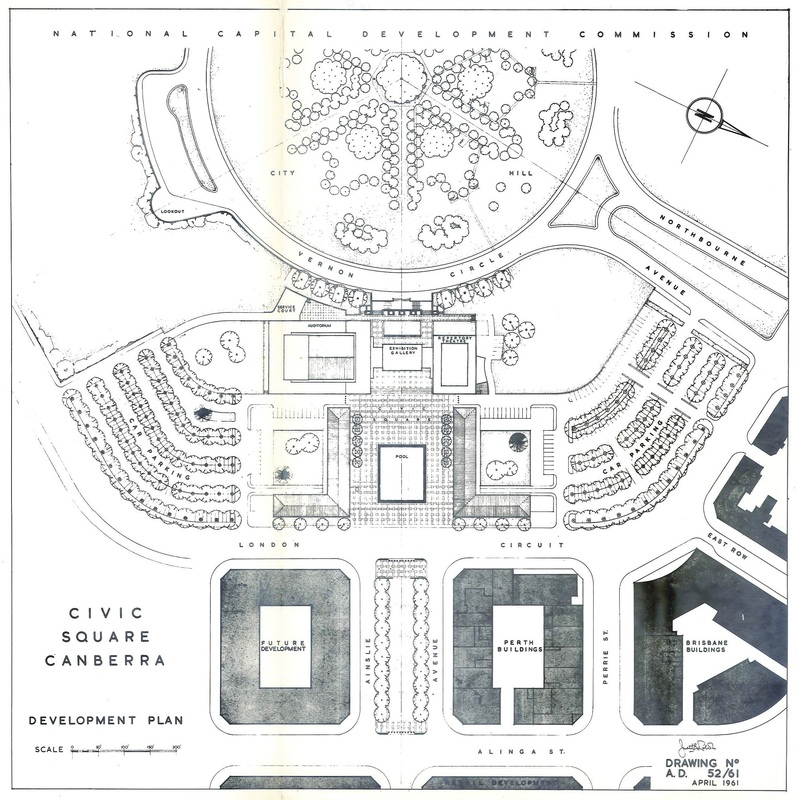 NCDC plans and drawings from the file show the evolving development of the site which was to become, in accordance with the Griffin plan, the centre of the ‘civic’ life of Canberra.